Schedule your FREE, No-Obligation Inspection! Your sensor (whether the LintAlert of built-in sensor) indicates poor airflow. Drying times take longer than normal. The dryer becomes unusually hot while drying clothes. Similarly, your clothes are unusually hot to the touch. Lint is noticed within the drum, around the door seal, or against the lint screen in uncommon ways. You notice bird-entry (or evidence of it, such as debris or bird droppings) at the exterior termination point – this is especially common in Springtime. The damper system for the termination cover doesn’t open as much while drying (compared to after a recent vent cleaning). There is a significant lint accumulated behind a pest/bird screen at the exterior termination point. A mildewy or burnt smell is present in the dryer or at the dryer vent. It has been over a year since your dryer vent has been cleaned or inspected. DRYER VENT CLEANING SAN DIEGO with FREE INSPECTION SERVICE! Disassemble the dryer and vacuum / clean each component. Clean inside and around the dryer. . Also replace any parts as needed. Going into the ventilation system. Cleaning out dryer vent with our sealed vacuum system and agitator. WE GO EXTRA MILE: We also inspect gas lines for leaks and seal vent lines for leaks and proper mounting. During our years in the appliance repair industry we noticed one common problem was that people had dirty vents. The rate of household fires caused by clogged dryer vents concerned us a lot so we came up with a step by step process that will clean and repair dryers until it is running like new again. Learning the insides and outs of dryers and how it works, we found an efficient cleaning method that targets both the dryer and vent. We do everything on the spot, on the same day, for one fee. We can clean, repair, and replace the parts of various dryer and vent brands, such as Amana, Bosch, Electrolux, Frigidaire, GE, Hotpoint, Kenmore, KitchenAid, LG, Maytag, Samsung, SpeedQueen, and Whirlpool. We offer professional and quality service in every single job that we tackle. Our customers are important to us. We want the job to be a pleasant and memorable experience for you. The U.S. Fire Administration recommends to homeowners to clean their dryer vents once a year. This causes an estimated $35 million in property loss, a hundred injuries, and 5 deaths. The main culprit? Lint buildup. Although lint may seem harmless, it is a highly flammable material. Most homeowners rely on the filter to catch all the loose fabric fibers. However, some find its way into the vent pipe where they stay undetected. This is why dryer vent cleaning is highly recommended. Dryer Machine Efficiency – A clogged vent reduces the efficiency of the dryer. When the airflow is restricted or stopped, the dryer is forced to work harder to find a way to get rid of moisture and heat. As a result, the dryer performs poorly and may even shut off by itself. More often than not, when people find that it takes a longer time to dry their clothes, they think it is a mechanical issue and immediately start shopping for a new one. But with proper inspection, the cause may be traced to a clogged dryer vent, which can be easily cleaned and repaired. Better Air Quality – A gas dryer that has excessive lint buildup keeps exhaust fumes from flowing out of the house. This will force carbon monoxide to build up inside the house and cause poisoning or even death. To keep this from happening, the airflow in the dryer vent must always be clear and open. Prevents Moisture Issues – When the clogged vent keeps moisture from getting expelled, it can cause tremendous damage. The moisture could mix with the lint and create a paper mache-like paste that, when dry, can be very tough to remove. The moisture could cause mold growth and mildew in the vent pipe, in the dryer, and on the wall behind the dryer. Not only is this nasty, mold spores can be dangerous to health. Keeps Clothes in Good Condition – Longer cycles and exposure to extreme heat could weaken the fabric. As a result, clothes may start to rip, acquire holes, and lose color. Saves Energy and Money – Regular vent cleaning minimizes the need for repair. It also minimizes the amount of time that the dryer is used. Both helps minimizes energy use and unnecessary expenses. How long does service take? This varies. Some jobs may only take 45 minutes while some may take up to three hours but the average is 1.5 hours. The time can be influenced by several factors, such as the accessibility of the machine and vent, the amount of lint buildup involved, and any other damage that may present itself during cleanup. How often do you need to clean your dryer vent? How do you know if your dryer vent is clogged? When it takes longer to dry your clothes or if the clothes come out hot and moist, the dryer vent might be restricting the flow of heat and moisture. If you experience other inconsistencies, like noise, smoke, or mold, better have an expert inspect the machine and the vent pipe. Call us at (619) 736-3281 to schedule a cleanup! We at Dryer Vent Professionals of San Diego highly recommend having dryer vents thoroughly cleaned every 6 months or annually, depending on how often it is used. Not only will this keep the machine in good, functional shape, it will also help prevent fire, health issues, and structural damage to your home. Our team of experts are skilled and experienced in dryer vent cleaning and repair. We take pride in our work and we make sure that every spot is cleaned and every part is functioning as it should. Don’t let lint put your house and your family in danger. Call us now to schedule NOW! I called Dryer Vent Cleaning San Diego yesterday after seeing a post recommending them for cleaning dryer vents. They came this morning and cleaned my dryer inside and the vent leading to the outside. They did an excellent job and I highly recommend them. You should have the dryer and vent cleaned on a regular basis because all of the built up lint and dust could catch on fire. Thanks to this post, I too hired Dryer Vent Cleaning San Diego to help me with my dryer. It was a total disaster! I soooo glad that I called! It was a fire hazard just waiting to happen. I would strongly suggest that everyone have their dryers cleaned at least every two years. It’s such a simple step to saving your home and possible life (and your loved ones). 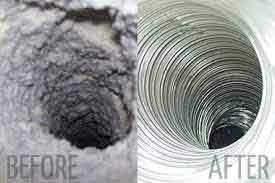 I’d like to recommend an excellent repair team from Dryer Vent Cleaning San Diego. My dryer was making horrible squeaking noises and not drying clothes well. About a year ago, my husband and I cleaned our dryer vent however we did not open and cleaned the dryer itself. They opened the dryer and found it completely clogged with lint, some of which was singed – a terrible fire hazard. The vent had clogged up as well. Dryer Vent Cleaning San Diego cleaned the dryer, the vent and replaced damaged parts. They are honest, friendly and their price is extremely fair. A big five stars for them!